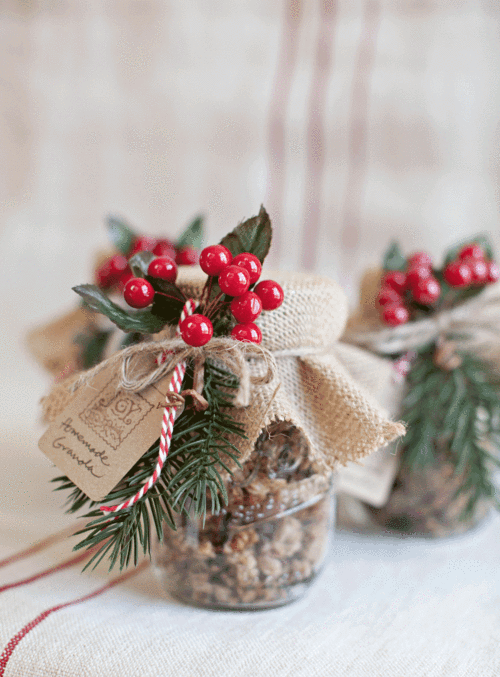 These DIY edible Christmas gift ideas will make this holiday season so much fun! All of them are easy and cheap to make. 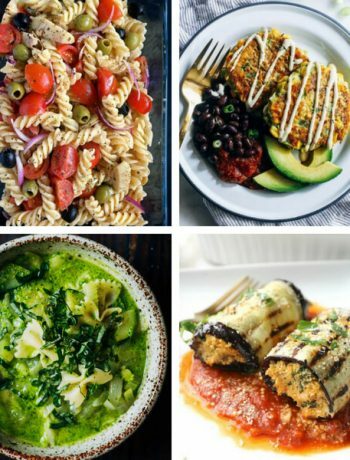 They will surely give your vegan friends and family members a big smile on their faces. 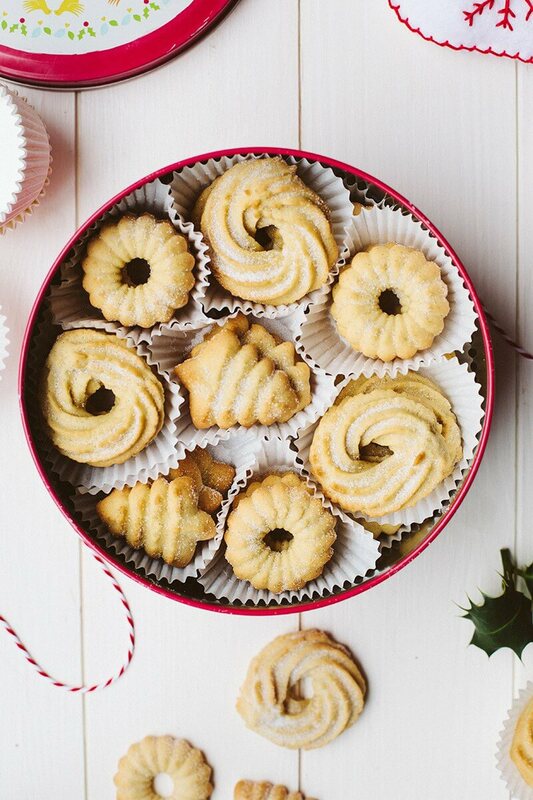 The best gift is always homemade with much love, after all. You don’t need much preparation or spend a lot of money with most of these ideas. 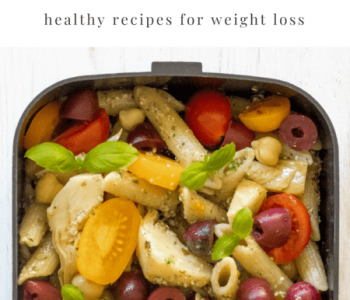 They are so useful and tasty, that you will want to make them for yourself too. 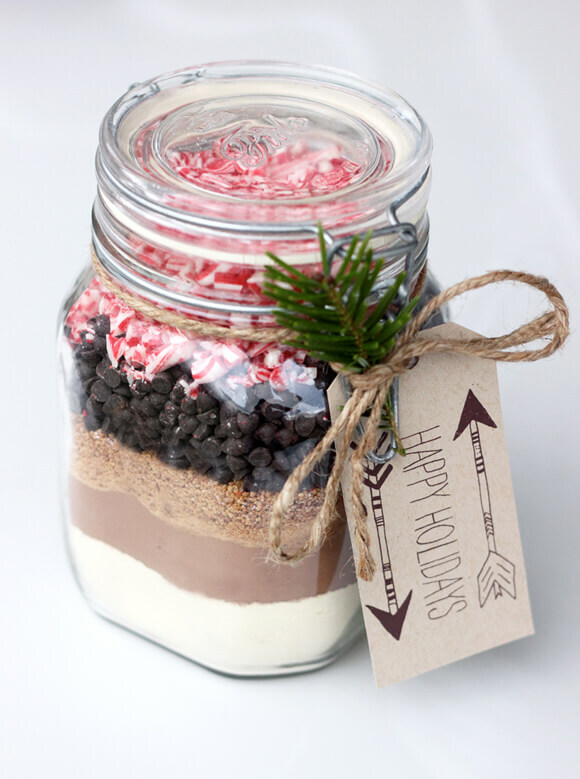 With this hot cocoa mix, you can create a tasty and decorative gift. You can give it regardless of gender or age, because everyone loves hot cocoa, right? If you have that one friend or family member who hates cooking or is not really good at it, this tasty soup mix might be a lifesaver. They will appreciate your effort for sure. Everyone loves cookies! 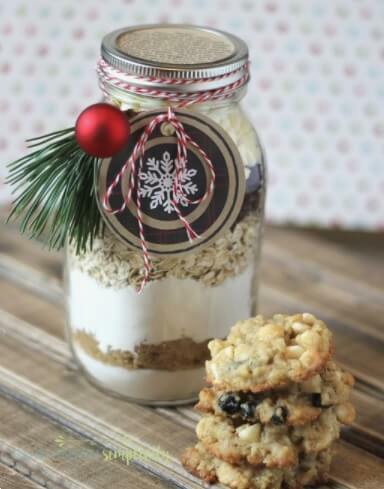 It’s an awesome idea to put together all the ingredients for this yummy oatmeal cookie, so it can be made in a whiff! It’s great not having to worry about whether all the ingredients are available at home. 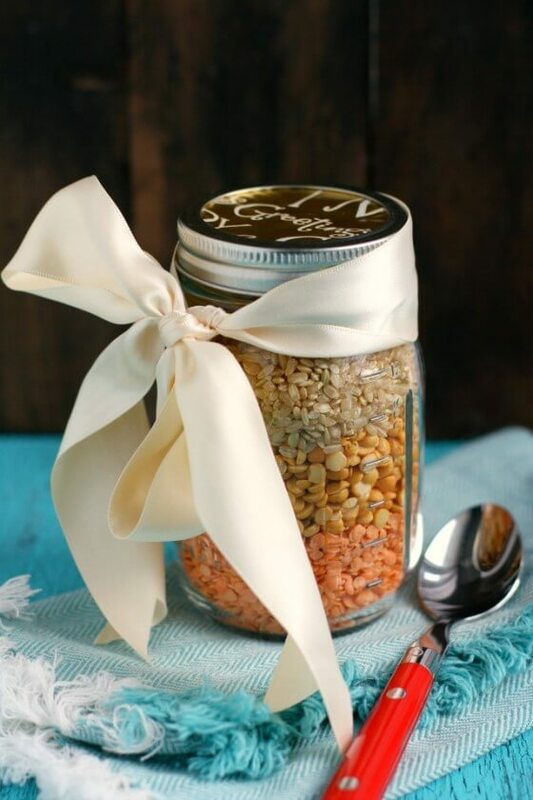 This soup mix is a fantastic gift for everyone who likes to eat healthy, or you can even make it for yourself. Such a festive citrus-y treat! 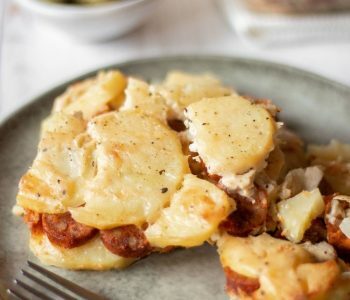 A very easy recipe that looks and tastes superb. Make sure to use vegan chocolate for dipping! A great and thoughtful gift for your gourmet foodie friends, who love savory recipes above all. What better way to start off your day in the winter than with a healthy granola? 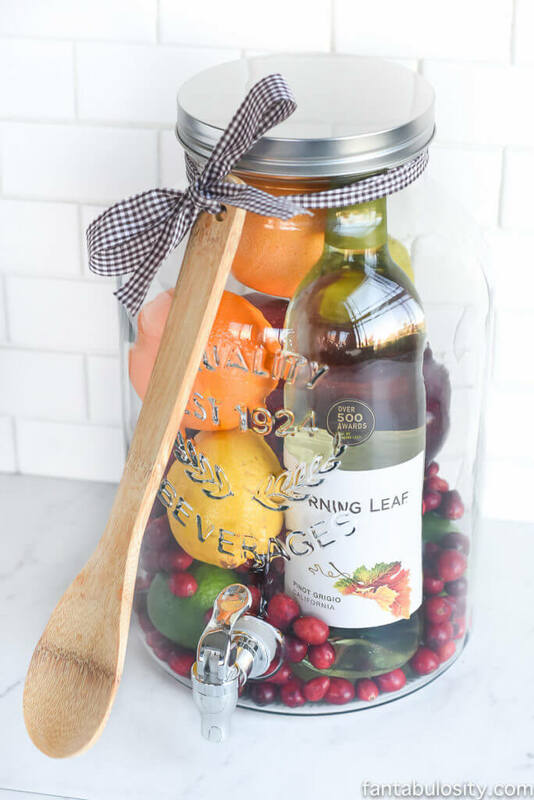 Decorate the jar accordingly, for an impressive gift. So simple, yet such a good idea. 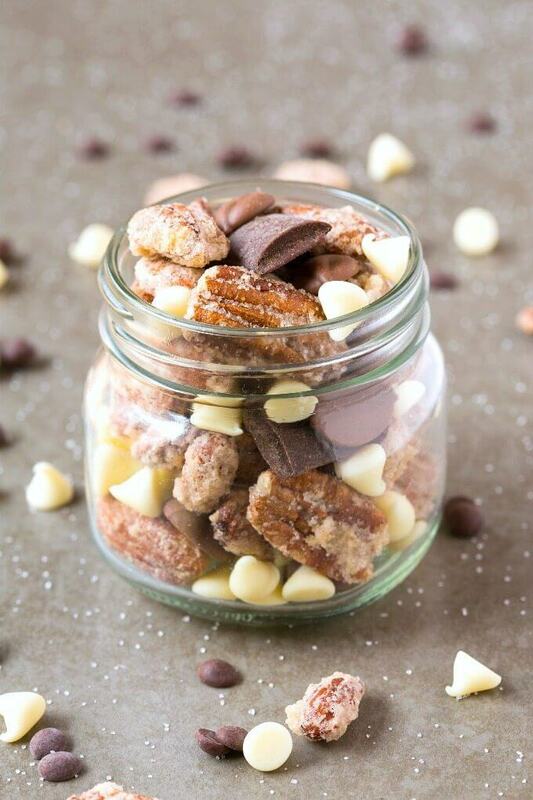 If you have a loved one who has a sweet tooth, they will be delighted with this candy trail mix. It’s healthy too! 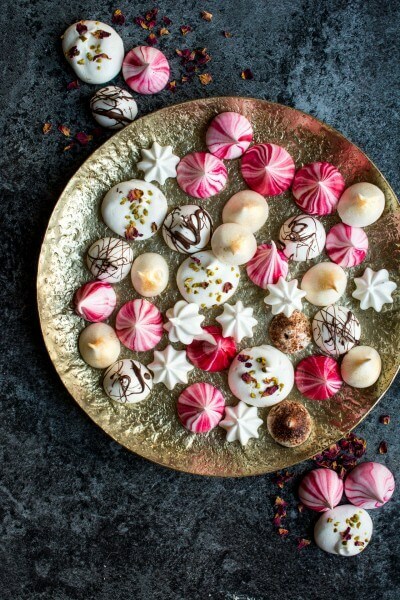 These meringue kisses are almost too pretty to eat. A great choice for your lady friends who appreciate girly pink things and very sweet flavors. Vegan butter cookies are just the absolute best. 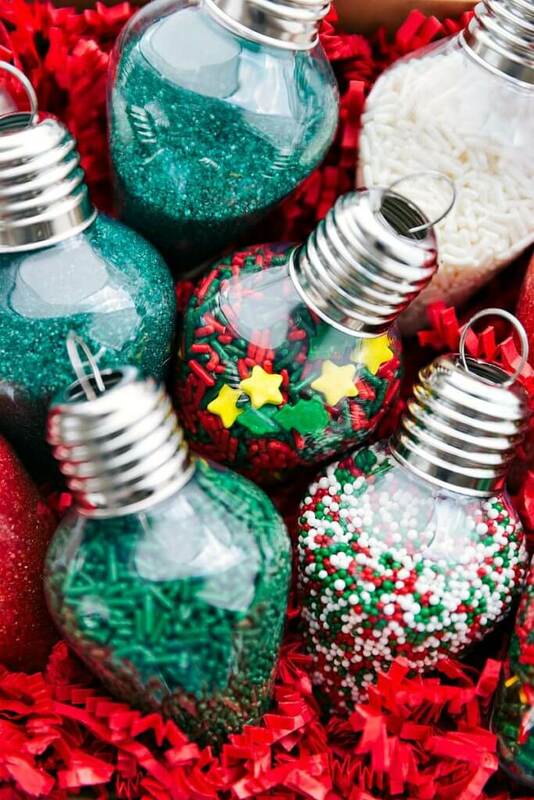 Place them into a pretty festive metal container and you have the perfect homemade present. 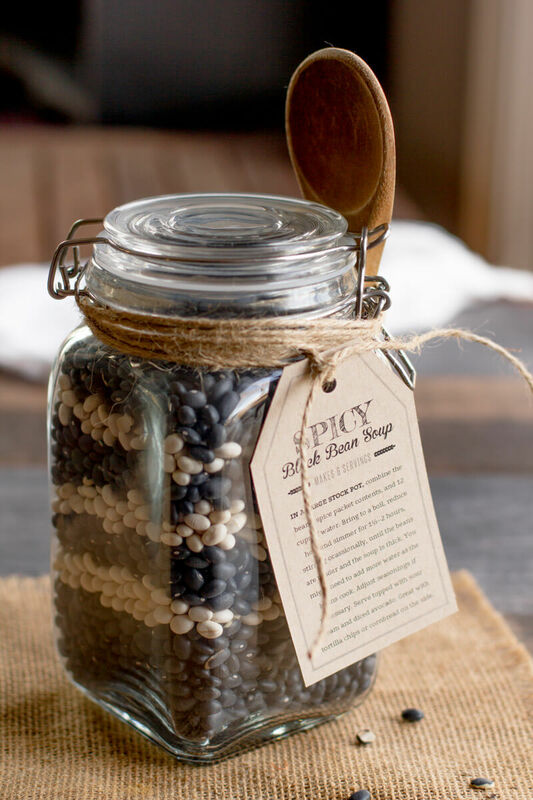 This incredibly unique gift is also super easy and addictive. Make sure to use vegan cream cheese in the recipe for a yummy and healthy dairy -free treat. 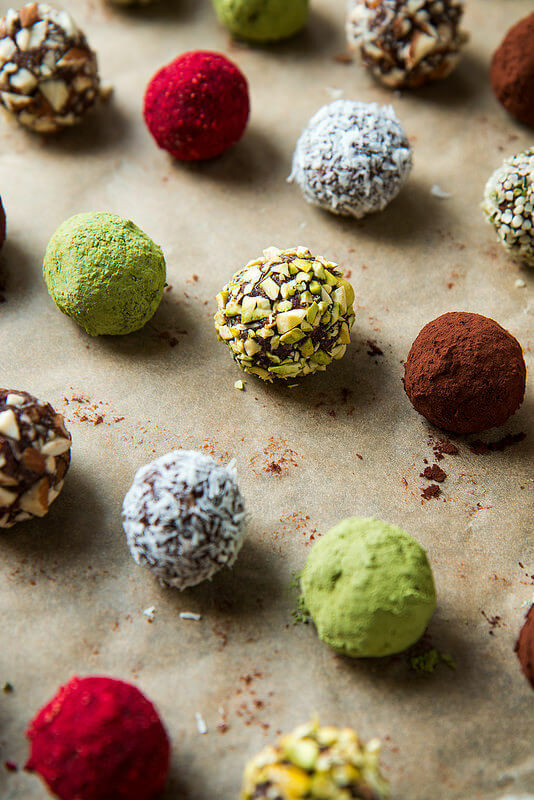 Don’t you just want to eat all these sweet balls up? 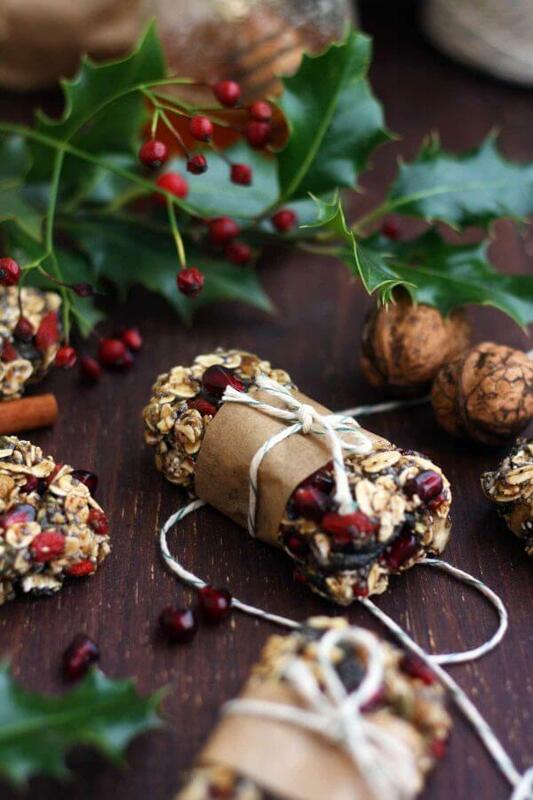 They are parading in festive Christmas colors making them a cute edible gift. A super simple recipe that requires no baking and is super healthy and flavorful. 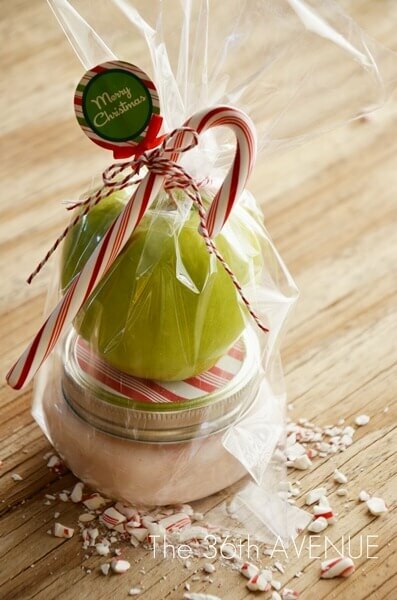 Put a simple packaging with a cute bow on it and your gift is ready to make someone happy. Oreos are such a good base to make something creative and sweet. 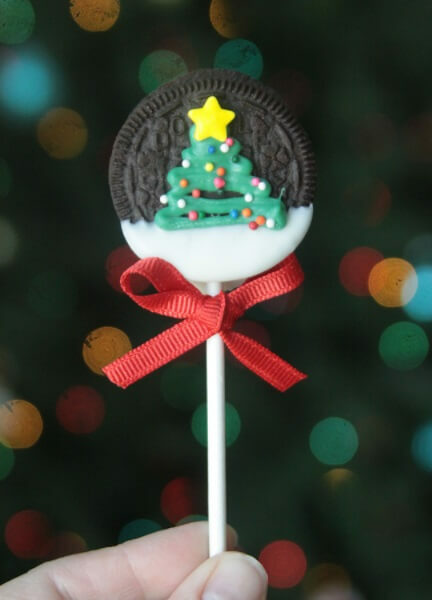 This Christmas tree cookie is one of the best ways to decorate them. 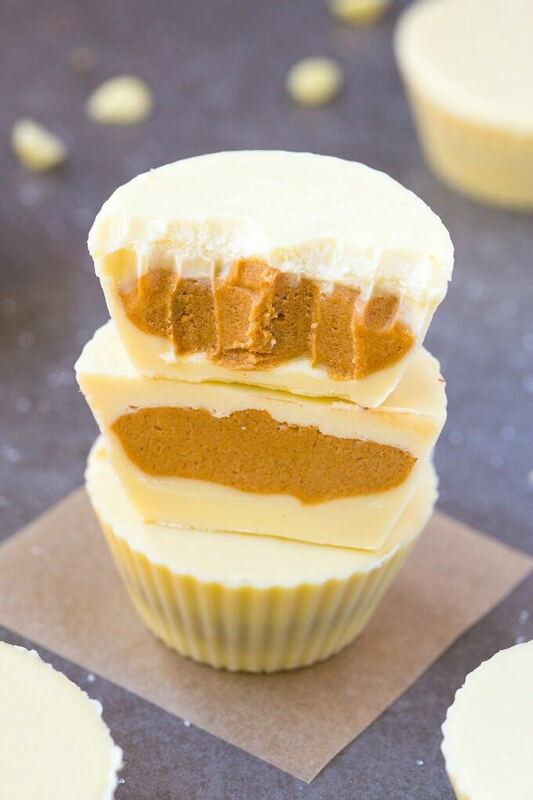 How elegant are these white chocolate cups? 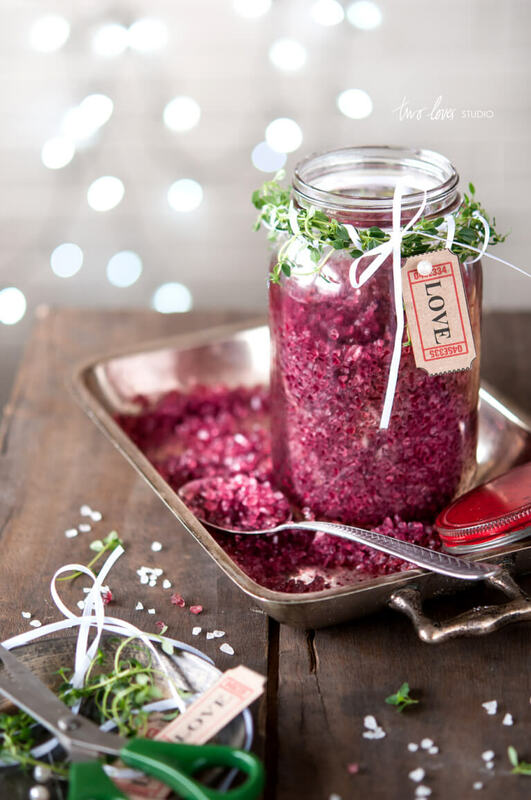 With only 4 ingredients, you can make a delicious and indulgent gift that anyone would be happy to get. 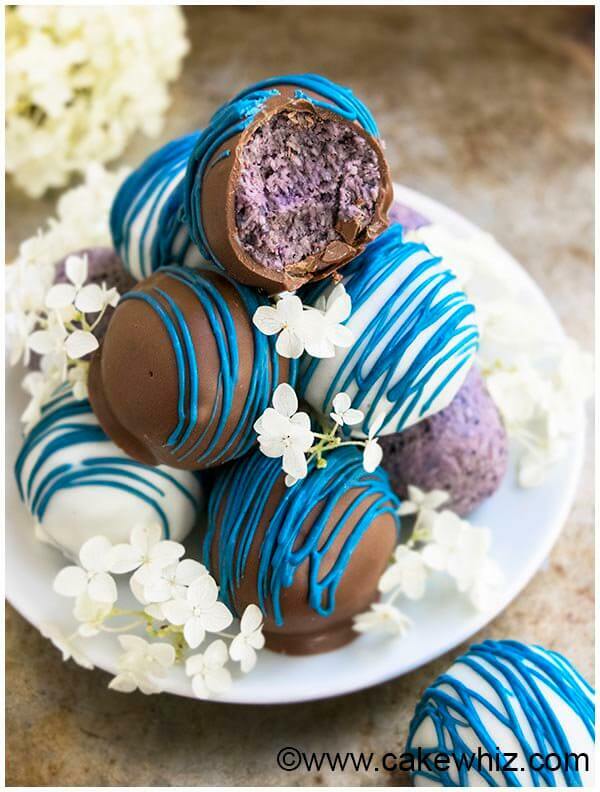 Blueberries, chocolate, and blue drizzles. That’s a recipe for a fancy and delish treat right there. What’s even better, than marshmallows? If they are giant and dipped in chocolate. 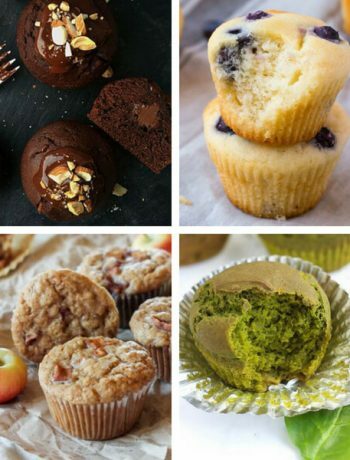 Do you know someone who loves baking? 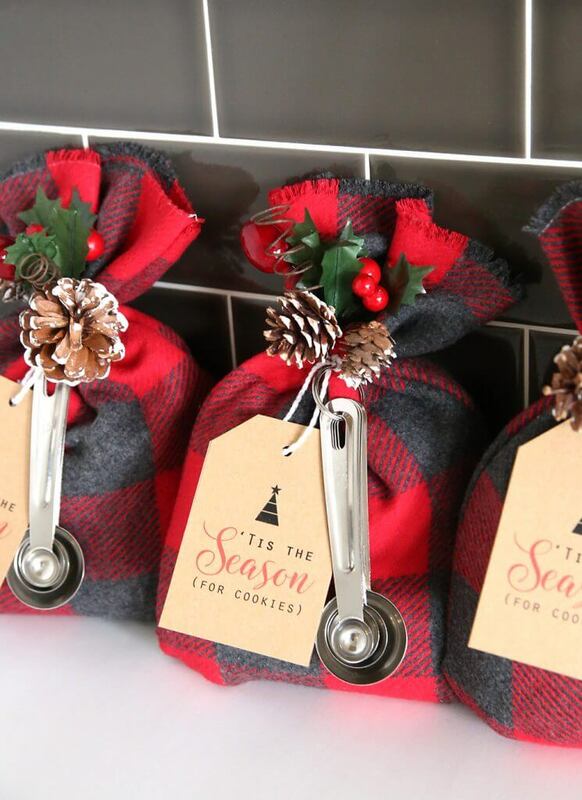 These cute sacks filled with cookie mix are a great way to give them a useful yet fun gift. Orange and cranberry together makes this cookie a uniquely tasteful festive treat. 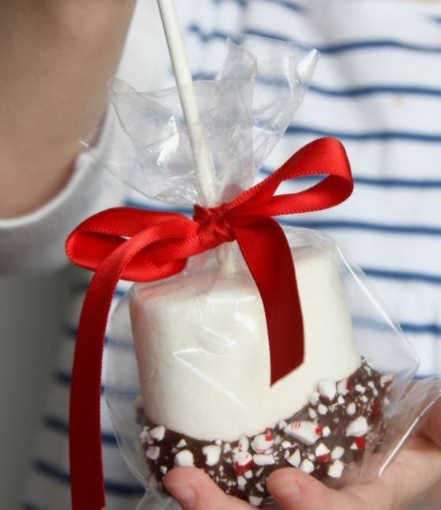 Probably the easiest yet most creative Christmas treat you’ll ever find. A truly 2-in-1 gift that can function as Christmas tree ornaments and edible sugar cookie decoration as well. Total winner. 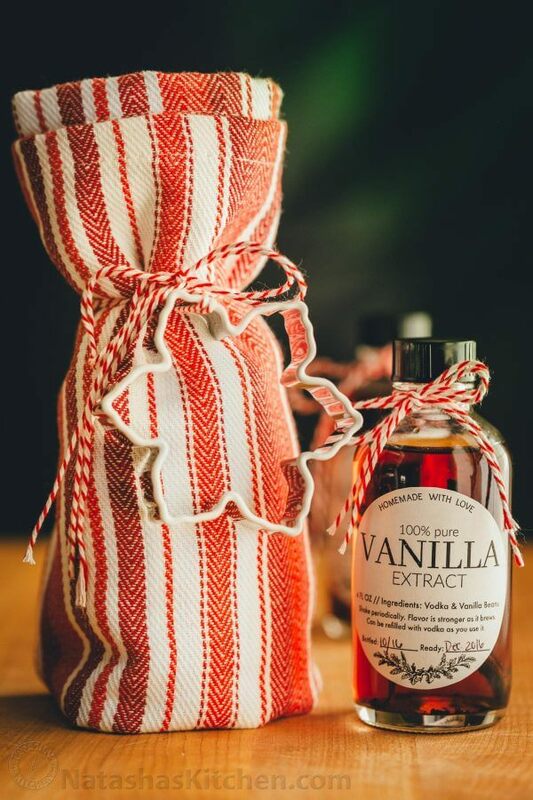 With all the baking and cooking that’s happening at the end of the year, it’s important to have a quality vanilla extract at hand. The best is if it’s homemade with love. 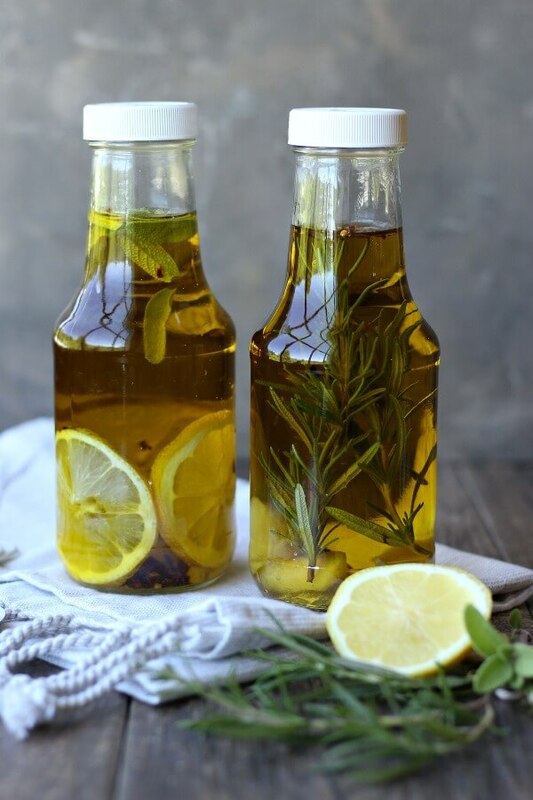 A good quality olive oil can be made into a gift-worthy bottle if you infuse it with some tasty ingredients. Foodie friends in advantage. 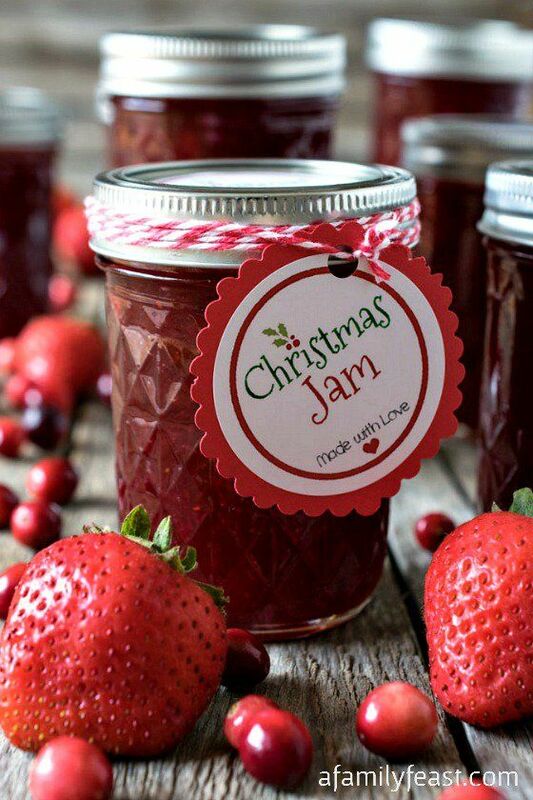 We believe that every Christmas cookie and dessert gets better if some jam is added to it. 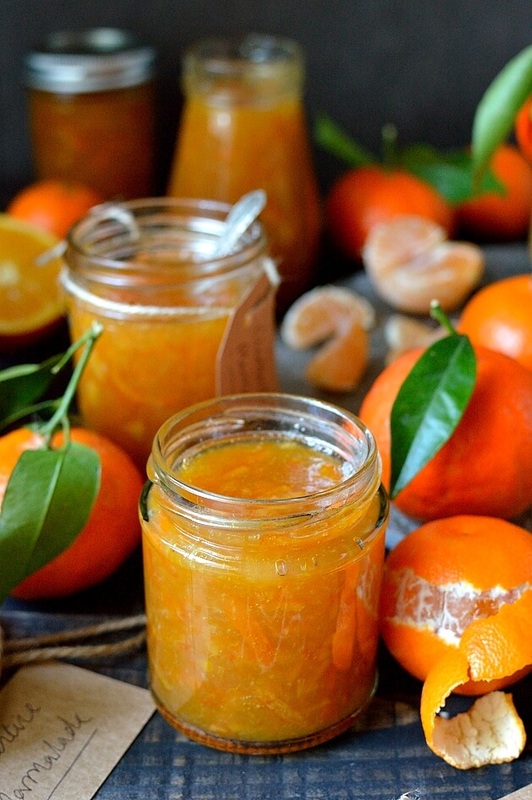 It is truly the season for jams and marmalade. That’s why a special flavored one makes a special and useful gift. 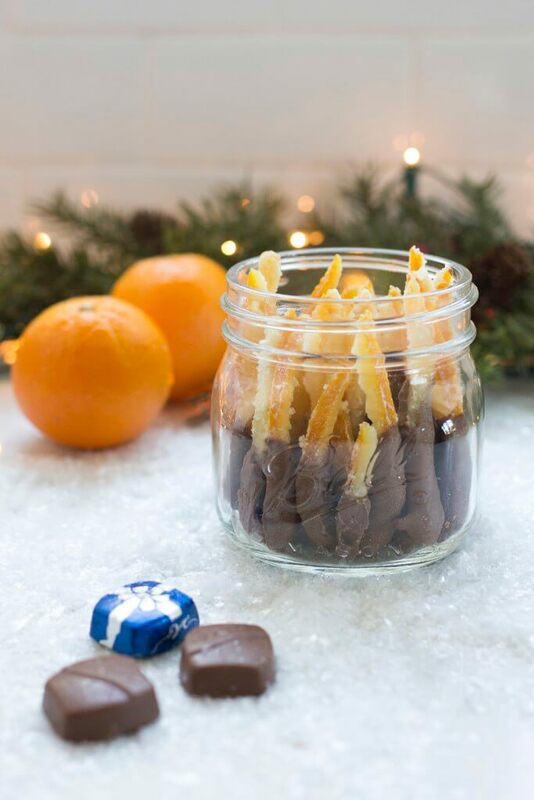 Citrus is a traditionally winter season fruit, so no wonder a clementine marmalade is a good choice for gifting. 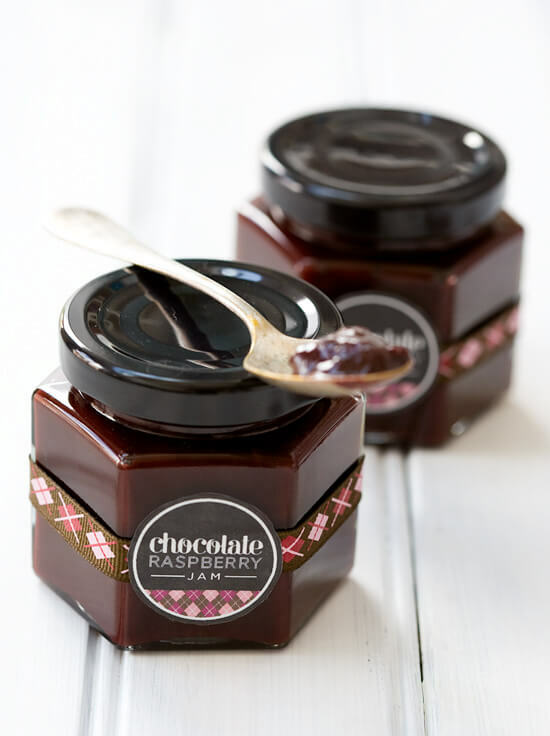 Chocolate in jam? That’s right. 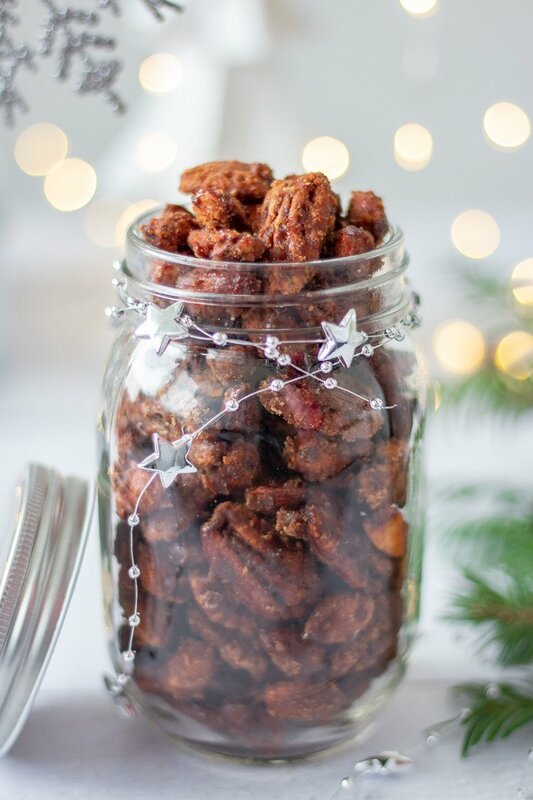 It’s such a tasty and sweet gift that you might win the “best gifter award” this year. 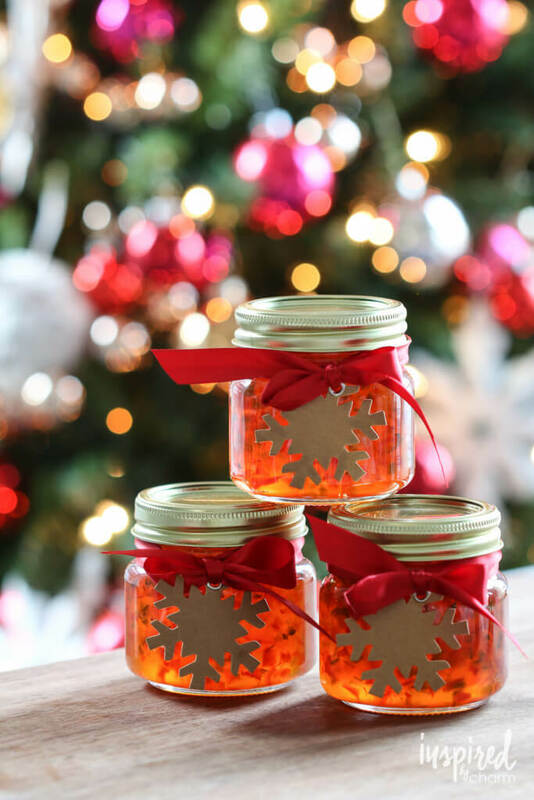 This savory jelly is a great addition to any festive or non-festive dinner recipe. It will make a great present for those who like unconventional flavors. Ciders are the perfect drink from September until March. What’s really needed for them is chilly weather and nothing else. A tasty and universal gift. A fun little boozy treat for adults only! This one is really a fool-proof gift to give anyone over 18. 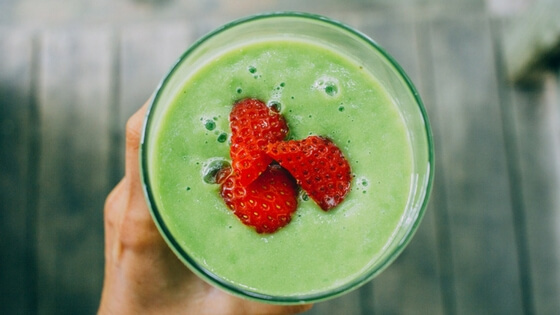 Fruity, boozy and creative. 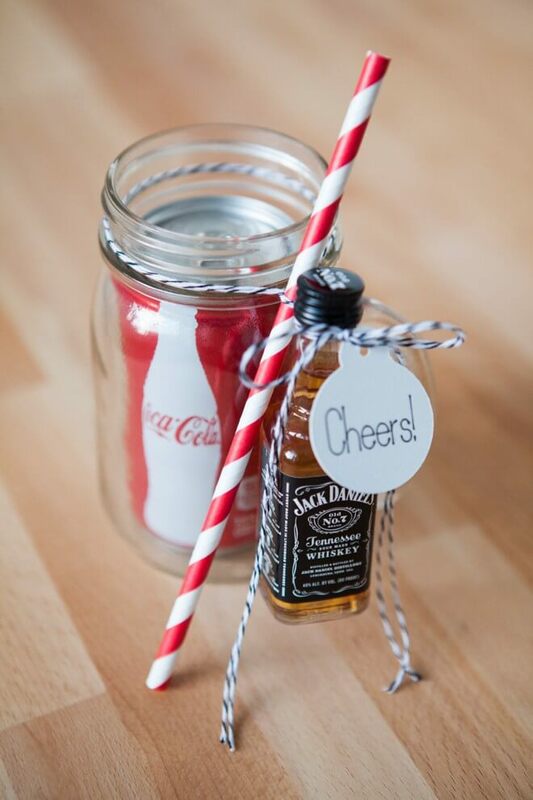 The perfect combination for an adult Christmas gift. 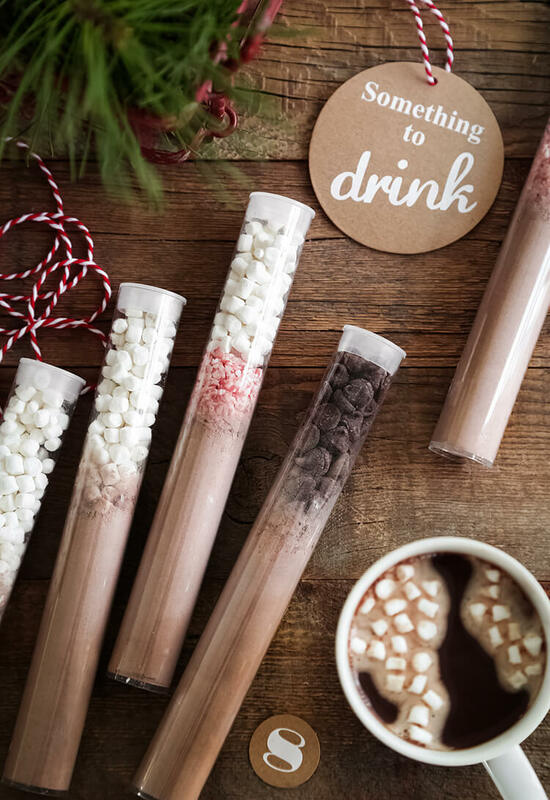 As emergency hot cocoa “injections”, these fun hot cocoa tubes are the perfect gifts for anyone with a chocolate obsession. 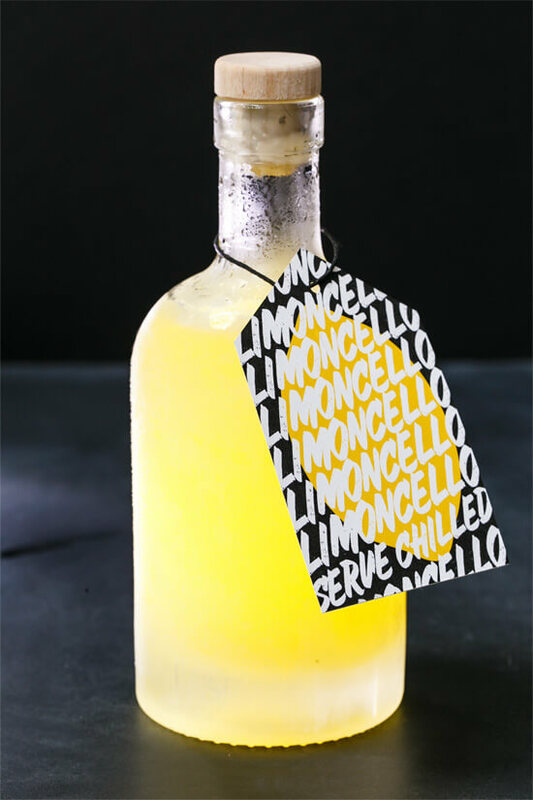 You might not yet heard about Limoncello, a traditionally Italian sweet alcoholic liquor. But that’s about to change. This citrus-y drink is so good, you will want to make one bottle for yourself too. 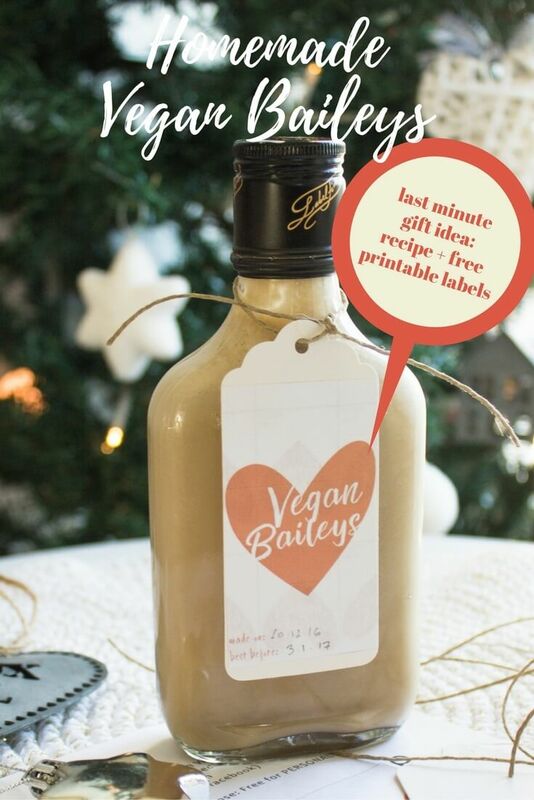 A Baileys that’s vegan too? Yep. It’s so creamy and heavenly, people will beg for the recipe. Christmas dinners: healthy and filling main dishes and sides for the holiday dinner. 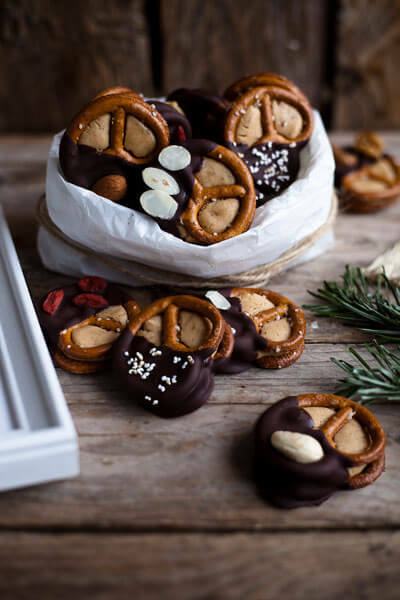 Christmas cookies: super yummy vegan Christmas cookie recipes that everyone will love. 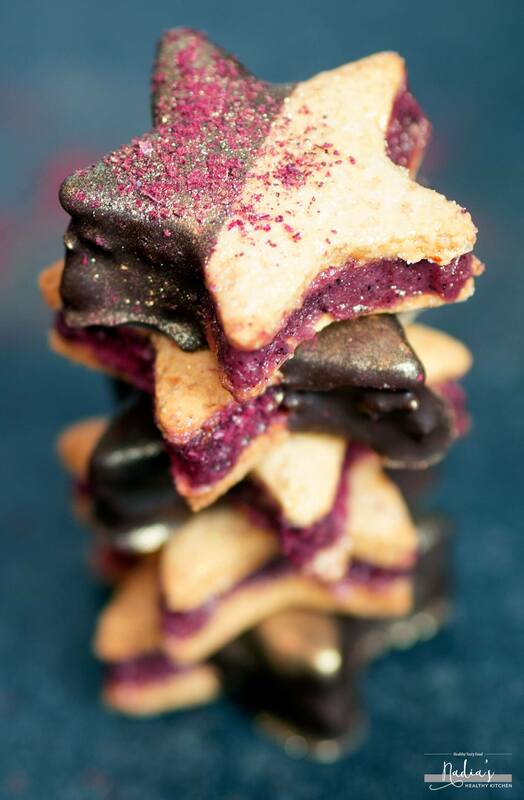 Christmas desserts: indulgent vegan holiday desserts and treats. 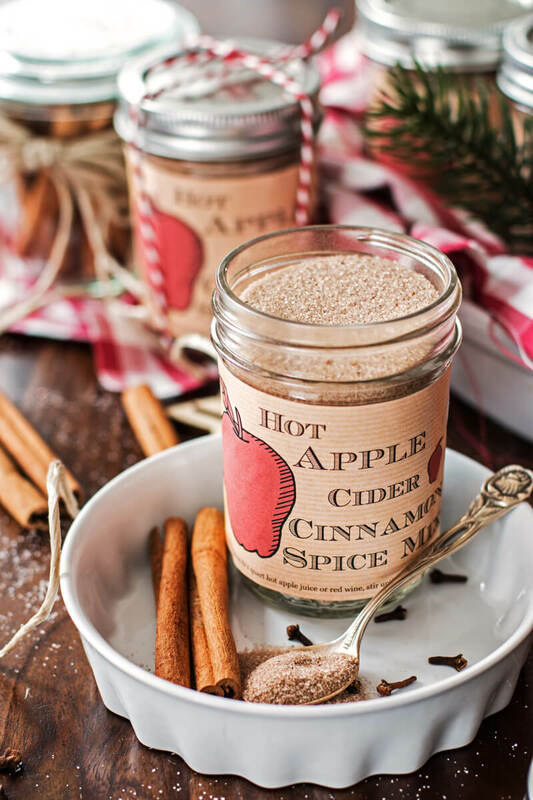 Cozy Winter/Xmas drinks: warming hot chocolates, apple ciders and tea lattes for the coldest days. 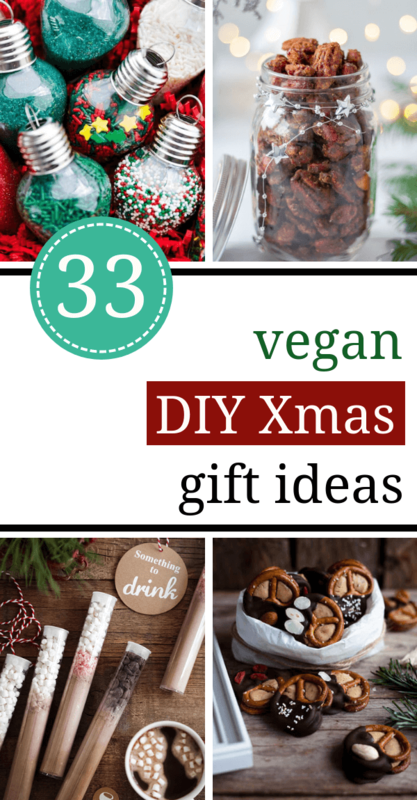 What are your favorite vegan DIY edible Christmas gift ideas? Let me know in the comments!